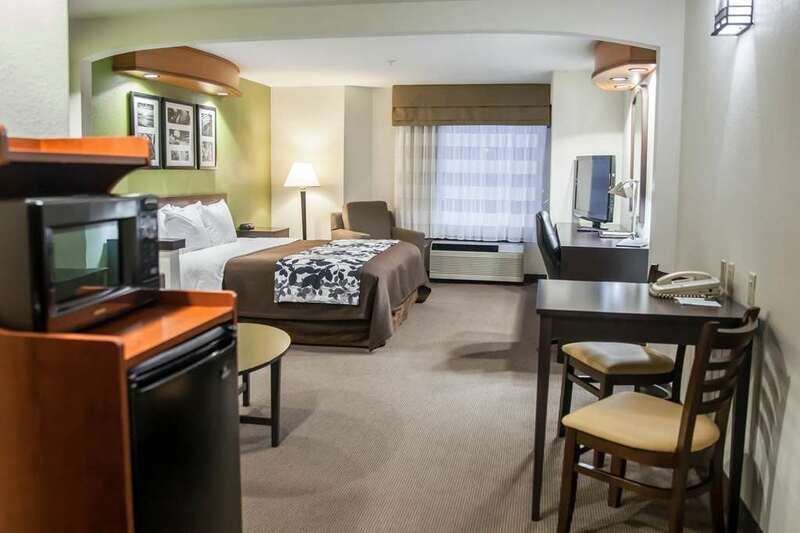 The pet-friendly Sleep Inn and Suites hotel in Emmitsburg, MD will give you a simply stylish experience. We are close to sites and activities like the Gettysburg National Military Park, one of the biggest draws in the region, Gettysburg College, Cunningham Falls State Park and the National Shrine of St. Elizabeth Ann Seton. Enjoy free breakfast, free WiFi, meeting space and guest laundry services. Your guest room offers warm, modern designs, and includes microwaves, refrigerators, TVs, hair dryers, irons and ironing boards. Upper-tier suites have even more amenities, such as a hot tubs and wet bars. Also, earn rewards including free nights and gift cards with our Choice Privileges Rewards program. Hotel is 100 percent non-smoking. Pet accommodation: 25.00 USD per night. Pet limit: maximum 2 pets per room up to 25 pounds each. Pets allowed in designated rooms only. Please call hotel prior to arrival to confirm pet accommodations.